Despite celebrating six months of sobriety earlier this month, Luann de Lesseps has decided to check back into rehab. Friends and sources say that the lawsuit from her ex-husband and children over a violation of her divorce agreement pushed Luann over the edge. Luann will also miss the Real Housewives Of New York reunion filming to remain in treatment. Priorities, from a housewife? Now I really am shocked! It’s not often I can say “shocking news” when it comes to a reality star, but this year Luann de Lesseps is definitely making the best headlines. In the most interesting way. The latest is that Luann is being sued by her ex husband and her children for allegedly violating divorce agreement over the kids’ trust funds. Luann and Count Alexandre divorced in 2009, and as part of the split she got possession of their Bridgehamptons home. Luann subsequently sold the home for $8 million to purchase a smaller house in Sag Harbor for $3.1 million. It always seemed like Luann had kept her finances together and accepted that she’s no longer living an Uber-wealthy lifestyle (unlike some of her fellow divorced Real Housewives Of New York stars. Ahem… Sonja!). Until now. It was a close one for the former Countess! After she was arrested in Palm Beach over Christmas and charged with drunkenly assaulting an officer, Luann de Lesseps was on the hook for FOUR felonies (and one totally embarrassing arrest video), but upon accepting a guilty plea her charges will convert to misdemeanors. Initially, the Real Housewives Of New York star was charged with violently resisting arrest, disorderly intoxication, and battery on a law enforcement officer – all felonies which would carry mandatory jail time, however after pleading down Luann will likely get off with probation and a fine. How do you say “Whew!” ala Francaise? If there’s one thing the Countess knows best it’s how to let things go. 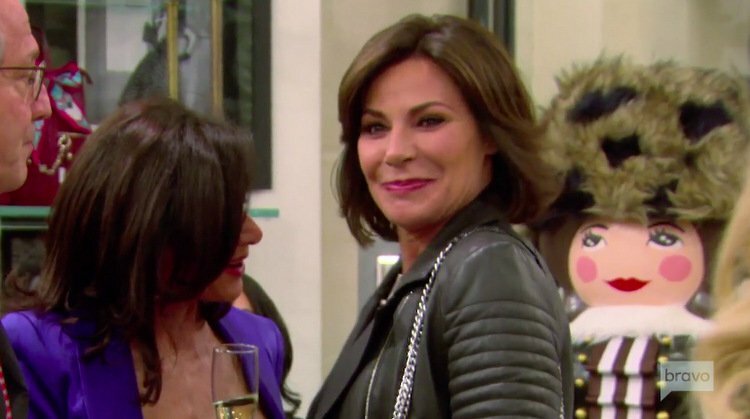 Luann de Lesseps was brought face-to-face with her ex’s ex Missy and with her ex-friend turned enemy Carole Radziwill on last week’s Real Housewives Of New York and in both cases, the Countess said c’est la vie and moved right along. However does she do it with such grace and class?! Having class with the countess means admitting when you’re down for the count – in this case it means Luann de Lesseps checking into rehab following an arrest for drunken and disorderly conduct. Well if there’s any relationship that has come full circle it’s Bethenny Frankel and Luann de Lesseps. 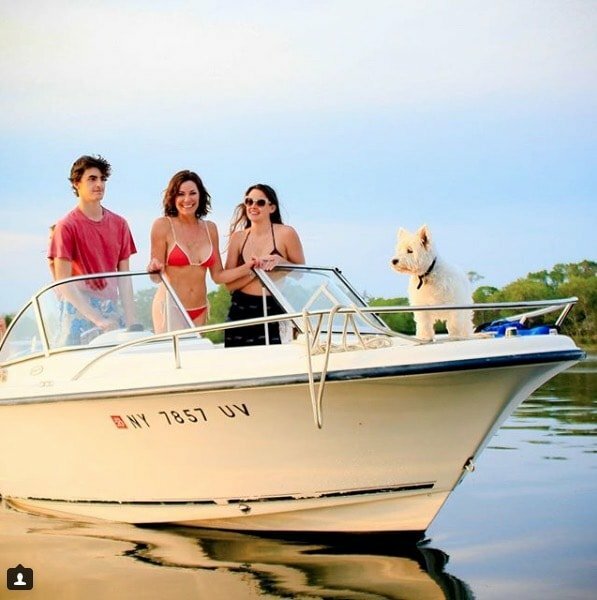 Bethenny blew up Luann’s life by outing Tom D’Agostino as a cheater, but in the wake of Luann’s drunken and disorderly arrest Bethenny is supporting her fellow Real Housewives Of New York star. Tom D’Agostino pretty much ruined Luann de Lesseps‘ life (and dignity), so after all that, he feels “really sad” that she was arrested last week. Well, kinda. I am not ready for the Countess to turn into this level of a hot mess yet. Nope. Unacceptable! Alas, it sounds like Luann de Lesseps took a page out of Kim Richards’ messy playbook this week when she was arrested in Palm Beach, FL, for resisting arrest and assaulting a police officer. The Real Housewives Of New York star was allegedly highly intoxicated during the tussle, and had apparently stumbled into someone else’s hotel room – where she was “in bed with an unidentified man.” Oh, man. This is all very uncool. Hotel security came to eject Luann and her buddy from Room 407 of the Colony hotel in Palm Beach. The couple was registered for Room 327, but had apparently wandered into the wrong room “while a maid was finishing turn down service” – so they just decided to crash there!